Hands up if you think cookie dough is one of the best things since sliced bread. Technically you shouldn’t eat your cookie mixture when baking but heck we are all guilty of that one. Prayers have been answered though as edible cookie dough has become readily available. 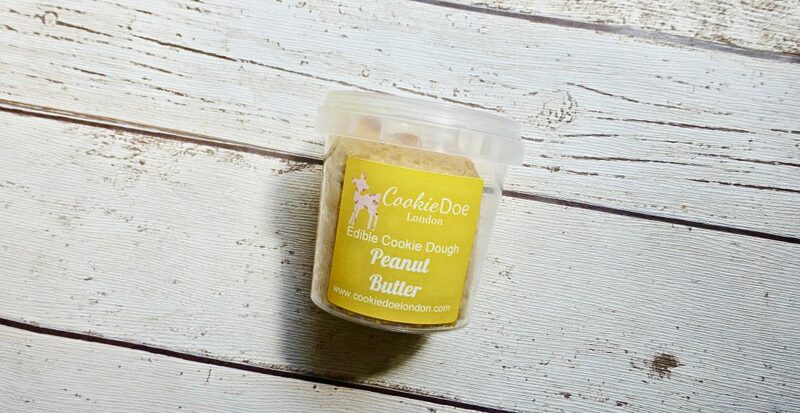 Cookie Doe London is a new brand of edible cookie dough and combine that with peanut butter, and we have ourselves an exciting situation. I for one have not come across this brand until I went to the Not on the High Street Press Event and they had a little stall giving tasters and samples of their Cookie Doe. Coming in a whopping 10 flavours including Gingerbread, Salted Caramel, Strawberries & Cream, Cookies and Cream and the original Chocolate Chip, I couldn’t possibly pass the opportunity up of having a tub of their Peanut Butter*. Price wise we are not talking cheap. An 8oz tub comes in at £5.95 and a 16oz is £8.95 – £9.95, pretty choking when you think it is just cookie dough. It is however made with no nasties and according to their website it uses on the highest quality of ingredients. 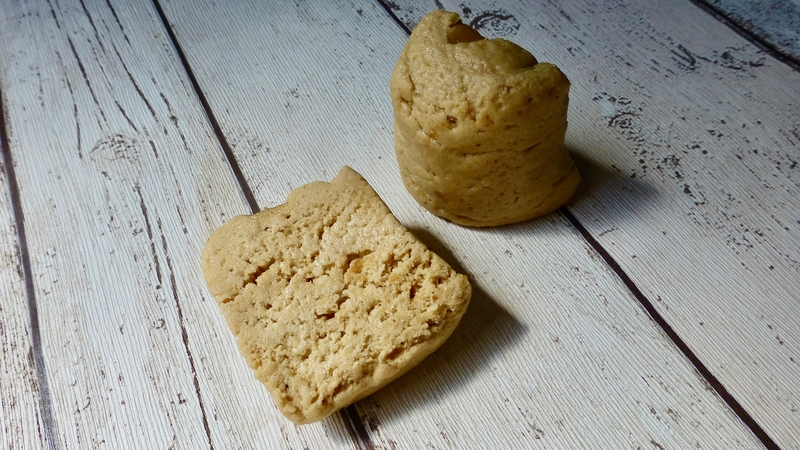 If you don’t want to grab a spoon there and then, to keep your Cookie Doe in tip top condition one must keep it in the fridge for up to 5 weeks or freezer for up to 3 months. The cookie dough was spot on and as you would expect from any good cookie dough. Depending on how you have stored it will depend on the texture, mine was pretty soft and I would have liked it less pliable. I do not like the halved peanuts on top, they seem out of place and would prefer that there were chopped pieces instead. 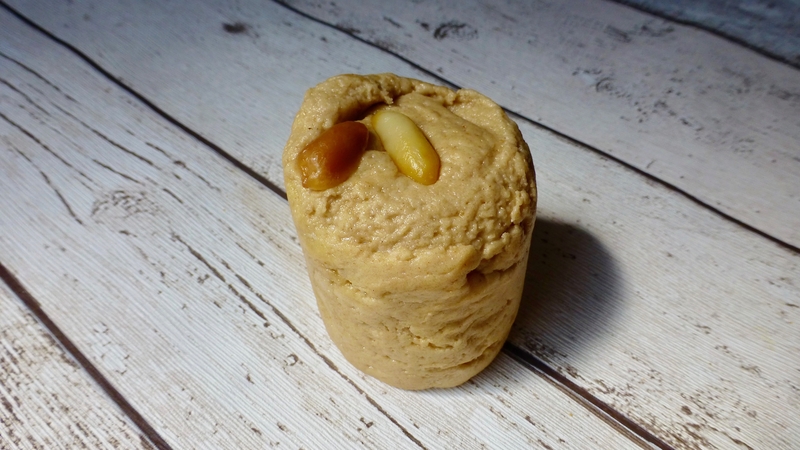 The peanut butter flavour was pretty darn good, didn’t taste synthetic and held its own against the cookie dough base. It’s a solid effort from Cookie Doe and naturally I love that they have done a Peanut Butter version. I would happily dive into trying a different pot of theirs but the price really does put me off. I understand that they are homemade and ‘gourmet’, however when you add the price of the tub to delivery charges you are looking at £10+. Tasty but not worth the price. *This was a sample pot from the Not on the High Street Press Event. All opinions are my own.